I am blessed to have people who believe in me, even (and especially) when I don’t believe in myself. Like the ones who scrawled my work-in-progress in the sand while they were vacationing. We thought of you, it said. We love you, it said. I now understand why writers make such a big deal about thanking the ones who’ve helped them along the way. In addition to giving me a smile, Mia demonstrated what I love about writing. It reaches out to people even while I sleep. Posts I wrote months or years ago don’t have an expiration date. It doesn’t matter that it’s been 23 years since I wore pillowcases into America or four years since my brain-tumor-your-van’s-broken moment. To a new friend, it’s new. King Tut, centuries dead and forgotten, was new to us when he was unearthed. Reading is archaeology without the dirt. Writing is setting down buried treasures for someone else to find. This, I tell my students. Our minds are always changing and evolving. Our opinions (if we’re not bullheaded or hopelessly dogmatic) will change over time and with experience. Just this morning, I read about a fellow blogger’s mental evolution on diversity. His post reads like a mind map of tolerance. And I love that it’s set down for people to happen along, long after he’s moved on to other revelations. That’s the motivation for writing my novel too. I want to put some world down on paper, set it down so people can pick it up and enter it for the first time. We’ll have a connection. I won’t even need to be awake, alive, and certainly not present—which is perfect for the introvert in me. 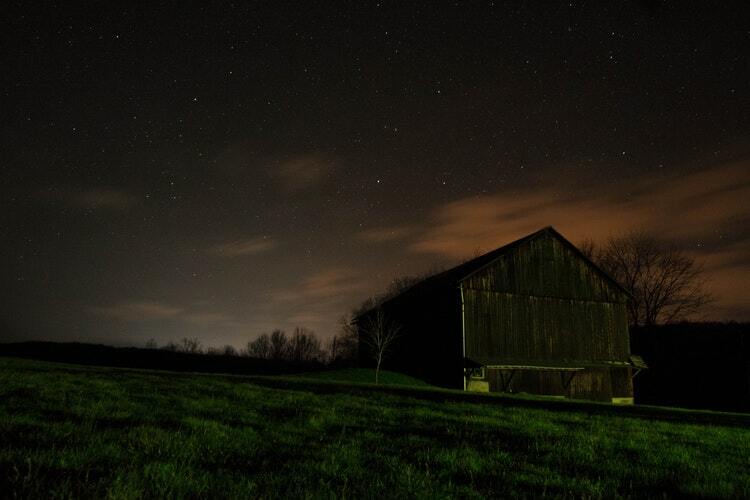 I happened on this picture of a barn. It looks just like the barn in my novel, which is also on a hill and has woods behind it. Trespass asks what if? What if someone was given the ability to read minds? What if she liked a certain amazing guy and wanted to know if he liked her? What if she read his mind? Imagine the chaos for a teenage girl to have access to the minds of teenage boys and the world at large. And I’ll finish this little update with a shout out to my husband, who champions my writing and is a man of grit and steel who ever leads me to be a better, stronger version of myself. I cannot wait to read it! Your writing makes me eager for time to sit still and write. One day. Thanks for being so dedicated! And I have to tell you I love this line: "Reading is archaeology without the dirt. Writing is setting down buried treasures for someone else to find." Just read the pillow case post… that may be the funniest thing I’ve read in months! a while ago you sent a nice email which i only just discovered in email, and i wanted to thank you for that. it seems like swimming the atlantic to write much less publish a book, and you’ve done it numerous times. so proper respect to you, KL!